Starting tomorrow, Michaels is having a Friends and Family Event in-store tomorrow 10/1 through Friday 10/3/2009. That means discounts for you, the customer!! Here are printable coupons for 60% off your Framing order, and another coupon for 20% off your Entire Purchase....and unlike most Michael's coupons this one includes sale items as well!! The holidays are just around the corner....this may be the perfect time to stock up on a few items you know you will need!! For The Locals....FREE Chipotle Burrito Tomorrow!!! If you live in the South Jersey area I have a great freebie to share with you!! 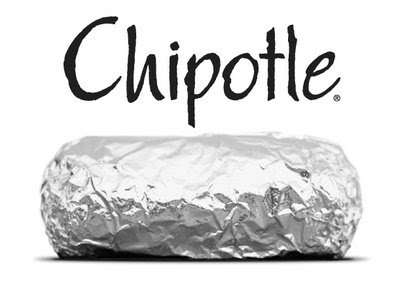 Tomorrow, Thursday October 1st there is a new Chipotle Resturant opening up in Marlton, NJ. And guess what? In honor of their Grand Opening....they are offering burritos for 100% off!! Yup, that's right FREE Burritos from 11am-8 pm tomorrow!!! Remember this is at the new Marlton Chipotle ONLY, it's in the Promenade on Rt. 73. You can get directions here. Enjoy if you get to go!! Well, from all the entries for the Cloudy With a Chance of Meatballs prize pack giveaway, lots of you would love to see it, read it, and win it too!! Unfortunately, there can only be one winner....and the true random number generator choose lucky #18, Katrina!!! Katrina said if she was the lucky winner, she would take her 7 year old niece, Crysta for a night of Meatball entertainment fun!! Congratulations Katrina!! I have emailed you...so check your inbox!! A very special great BIG Thanks to Club BK for sponsoring this great giveaway!! Remember even if you did not win this awesome giveaway......head on over to Club BK for lots of online fun and games for the kiddies to play, or better yet, take a night off from cooking and head on over to your local Burger King for kids meals featuring a Cloudy with a Chance of Meatballs Kids toy in in each one!! Here is a printable coupon for $1.00 off a 9.5 or 13.7 oz. bottle of Starbuck's Frappaccino Coffee Drink. The 9.5 oz. frequently go on sale at Walgreen's for about $1.25 or so.....so after coupon savings you have a nice refreshing drink for just a little over a quarter including tax!! If you've never tried one they are yummy!! Now, lets just wait for a good sale on these and we'll be in luck!! You can print 2 coupons. They expire 12/31/09. Not sure how long they will last so print yours now!! It's that time of year again at Payless!! It's time for their infamous Buy 1 Pair get a 2nd Pair/Item for 1/2 Off Sale!! Mix and Match...choose what you like! Choose from Men's, Women's, Girls, Boys, Infants...shop for the entire family!! Plus, if you shop online use coupon code 26307 at checkout for an additional 15% off your purchase. Or use coupon code 29731 to save $5 off a purchase of $25 or more. To avoid shipping charges have your items shipped to your nearest Payless Store for fast, easy pick-up. Or ship them to you directly for $5.95. The 15% off coupon code expires 10/2/09 and the $5 off $25 purchase coupon expires 10/12/09....so hurry if you plan to place an order!! The flu season is almost upon us.....so that means it's time for flu shots! Flu shots are offered in many locations these day, not just at your doctors office. This year Genuardi's is offering Flu Shots at their in-store pharmacies. No need to make an appointment, just walk up and receive a shot for significantly less than you pay at your local doctors office. Plus, get vaccinated against the flu at Genurdi's and receive a coupon for 10% off your next Genuardi's shopping order!! What's better than staying healthy and saving a bit of cash at the same time?? **Note: 10% off not valid in NJ. Well then.....here is a FREE one-night movie rental code for Redbox. Simply enter promo code: 9H2VEE27 when checking out for your discount to be applied. Code will work only at a Redbox located in Hy-Vee this week only. Remember your rental must be returned by 9 pm the following evening or you will be charged the usual $1 a night - tax rental charge. Click here to download Save Me From Myself- By Vertical Horizon. This freebie is courtesy of Walmart. This freebie is available this week only. Halloween is just around the corner....and AC Moore would like to help you and the kiddies get ready for it!! This week they are offering FREE Make N Take craft events for the you & the kiddies too!! This Wednesday, 9/30 stop in your local AC Moore from 3-5 pm and create a Batty Treat Bag!! Just perfect to hold all those sweet treats they will be receiving real soon! On Saturday, 10/3 stop into AC Moore from 3-5 pm to make a Halloween themed Dry Erase Board. Perfect to place in a locker or on a refrigerator, a great way to stay organized! Here is a printable coupon for 20% off the list price of any Alex Toys at BORDERS. Coupon is valid now through October 4th, 2009 and is valid in-store only with your Border's Rewards card. Don't have a Border's Rewards card yet? It's free to sign up for one...simply ask for one at the registers. Walgreens has just put up a new $5 off $25 purchase coupon!! Coupon is valid in-store ONLY, and is valid tomorrow Tuesday 9/29 & Wednesday 9/30/09. Remember, your total must be $25 after all manufactures and Walgreens coupons have been deducted. Limit on coupon per customer. Is your oatmeal stash getting a bit low? Well, even if not quite yet, you may want to check out this great deal on Mom's Best Oatmeal. This week CVS has both the Quick Oats canisters and Instant Oats boxes On Sale for just $1.00 each. Use this $.75/1 printable coupon here and you end up paying just $.24 each!!! You can print 2 coupons. In my local CVS the Mom's Best oatmeal is found in the $1 section near the pharmacy...so if you cannot find it in the food isle check around the store. The sale at CVS runs through this Saturday 10/3. 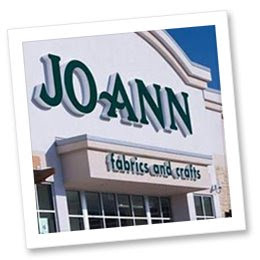 Here is a printable coupon for 50% off one regular priced item at JoAnn Fabric & Crafts. Coupon is valid through next Saturday 10/3/09. Use in-store with printable coupon here or online with coupon code: EFD276. See any other great buys at SjopRite this week? If so please leave a comment and share what you've found! 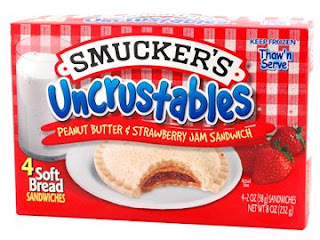 Tomorrow ONLY, 9/28 Smuckers is giving away 80,000 Uncrustables sandwiches (20,000 actual coupons since there are 4 sandwiches to a box). To receive a coupon you must be one of the first 20,000 people to register for the offer here....and you must also submit an after school organizational tip as well. These are great for an on-the-go snack or to pack in the kiddies lunch box for school....my kiddies love them!! Each year right before Halloween, Wendy's put out a Trick or Treat coupon book for just $1.00!! Included in the booklet are 10 FREE Jr. Frosty coupons!! What a deal!! They can be used from 11/1/09 through 2/1/2010. These are great to keep on hand for those little treats that the kiddies deserve from time to time!! Or you can always pass them out to trick-or-treaters as well!! You can find these booklets at your nearest Wendy's location....just ask for them! From 9am-midnight each and every Saturday through October 10th click here to sign up to receive a coupon for a FREE Cesar Bistro Entree. They will give away 1,500 coupon every Saturday. Remember, the early bird gets the worm....so sign up early before they are out!! Missed out this week? You can set a reminder for next week here. Heading on over to Bath & Body Works....well here is their newest printable coupon. Receive a FREE signature collection travel-size item (Up to $5) with any purchase. Coupon is valid through 10/7/09 and is valid both online and in-store. Recently there have been many of these free travel-size coupons...need a cute gift idea? Perhaps put a couple of these travel size freebies in a little basket and add a gift card for a nice little gift for someone special. Remember, you must present your Rewards Card with this printable savings coupon. Do not have a Rewards Card yet? It's free to have, simply pick one up in-store. Coupon is valid in-store only through this Monday 9/28/09. What could make your Friday better than a FREE chocolate bar? Be sure to sign up today starting at 9 AM here for your chance to win a coupon for one of 250,000 FREE Mars chocolate bars. If you have not yet gotten a FREE chocolate bar from this fun weekly promotion...this is the last week!! Have you noticed that the kiddies have outgrown all their clothes from last fall/winter? Is it time to restock the wardrobe with a few newer things that fit? 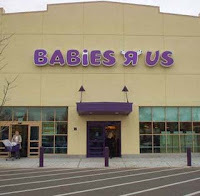 Well, here is a printable coupon for 30% OFF your entire purchase of clothing & shoes (Up to size 4T) at Babies R Us. Printable coupon does not expire until 10/04/09 and is valid in-store only. Use the $1.00/2 from here. Note: There are many ways to do this deal...depending upon what your family likes to eat. With the manufactures coupons applied...you can get items FREE, or at very low cost! See any other great buys at Acme Markets this week? If you have a great deal to share please do so in a comment!! If not...Click here to join the Chic Fil A Chicken Wave and they will send you a coupon for a FREE medium Coke Zero via snail mail. You will also be entered into a daily drawing for a $50 gift card too!! They are only giving away 750,000 Free Coke Zero coupons...so hurry and sign up!! It's free to join the wave!! And easy too!! It's all about rooting for good 'ole yummy chicken!! Starting today through this Sunday 9/27...Save 30% off both in-store and online at Footlocker, FootAction, and Champs. This is all thanks to their Friends & Family Sale!! In-store use this printable coupon here. In-store use this printable here.